You can connect your Gift Up! 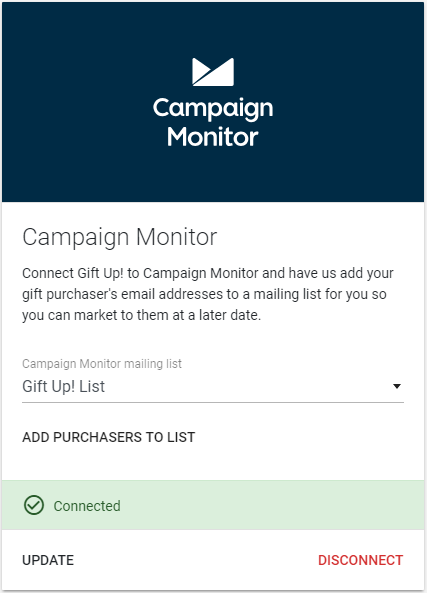 account to your Campaign Monitor account and every time you sell a gift card we will automatically add the purchaser's email address and name into the list you choose. Once done, if you've sold gift cards previously you can click the "Push purchasers to list now..." and we will push all existing gift card purchaser email addresses to the selected list. After that, we'll automatically add new gift card purchaser email addresses to the selected list.